Vinfreild Rewards Service Available Now! We have started the Vinfreild Rewards System as of today, February 25, 2013! This is a members only exclusive service. Members will be receiving monthly emails from rewards@vinfreild.com with direct download links to awesome free prizes! Including, but not limited to, music, virtual gaming content, gift cards, and cash prizes! Members, you will be receiving your first reward today at 5:00pm Pacific Time! Don't forget to check your email! It will include information about the link, the size of the download, and the contents of the download! Enjoy! Virtual Console comes to Wii U! If you haven't heard yet, the initial release of Nintendo's Virtual Console™ for Wii U™ is coming this spring! Play any classic Nintendo® game on your tv with the Wii Remote™, Motion Plus™, Classic Controller, or right on the screen of the Wii U™ GamePad! Along with the games coming to the Wii U™, MiiVerse™ communities for all of the games are also coming, where you can discuss, doodle, and share videos regarding the games and your experiences with them! According to Nintendo®'s Official Website, all Wii™ owners who bought any of the Virtual Console™ titles through the Wii™ Shopping Channel™ on the original Wii™ menu will be able to re-download them onto the Wii U™ from the Nintendo® e-Shop™ at a reduced price. Visit us, share, and play games with us at scheduled events now on Nintendo Network™ from your Wii U™ console! Our MiiVerse™ username is "Vinfreild" just as it's spelt here! 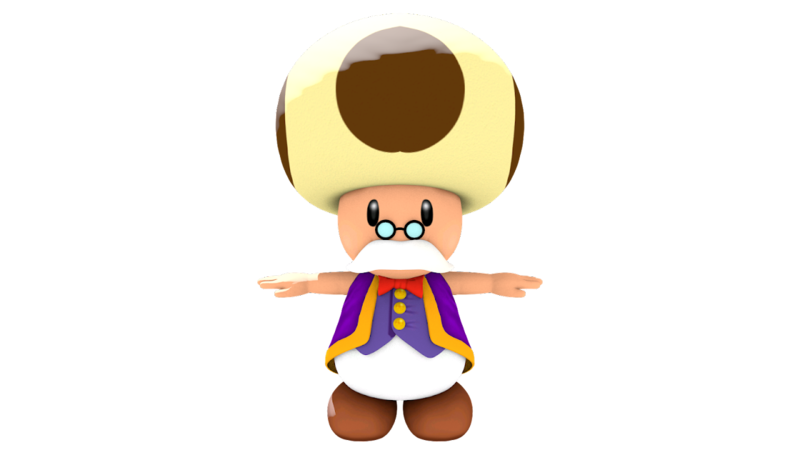 I've been talking about making and releasing a high definition Toadsworth 3D model for a while now, well... here it is! Also made in Mario Party 9 Wii quality. Time elapsed: Sunday February 10, 2013 from 2:30pm - 8:15pm Pacific Time.